How Many Of These 250 Weed Slang Terms Do You Know? From Acapulco Gold to Kentucky Blue and Hairy Ones, there are a lot of slang terms for weed, which the DEA collated in its latest field bulletin. OK, when it comes to weed (and most things, actually), the DEA isn’t what anyone would call a friendly face. That’s due to the ‘E’ in the acronym, along with the blatant ignorance that the agency has shown cannabis and its users, despite the evidence that shows how much good the herb can do. That said, the DEA’s latest field bulletin on “Drug Slang Code Words,” released by the National Drug Early Warning System (a project funded by the National Institute on Drug Abuse), will have you laughing and be sure to help connoisseurs of cannabis with their lexicon. In alphabetical order, here are slang terms that may not have ever heard or used, and others that you probably won’t ever use, period. Of course, the list starts with a number, which could be the most popular: 420. Acapulco Gold; Acapulco Red; Ace; African Black; African Bush; Airplane; Alfombra; Alice B. Toklas; All-Star; Angola; Animal Cookies; Arizona; Ashes; Aunt Mary. Baby; Bale; Bambalachacha; Barbara Jean; Bareta; Bash; BC Budd; Bernie; Bhang. Dank; Dew; Diesel; Dimba; Dinkie Dow; Dirt Grass; Ditch Weed; Dizz; Djamba; Dody; Dojo; Domestic; Donna Juana; Doobie; Downtown Brown; Drag Weed; Dro; Droski; Dry High. Fine Stu; Fire; Flower; Flower Tops; Flu y; Fuzzy Lady. Gallito; Garden; Gauge; Gangster; Ganja; Gash; Gato; Ghana; Gigi; Giggle Smoke; Giggle Weed; Girl Scout Cookies; Gloria; Gold; Gold Leaf; Gold Star; Gong; Good Giggles; Gorilla; Gorilla Glue; Grand Daddy Purp; Grass; Grasshopper; Green; Green-Eyed Girl; Green Eyes; Green Goblin; Green Goddess; Green Mercedes-Benz; Green Paint; Green Skunk; Grenuda; Greta; Guardada; Gummy Bears; Gunga. Hairy Ones; Hash; Hawaiian; Hay; Hemp; Herb; Hierba; Homegrown; Hooch; Humo; Hydro; Indian Boy; Indian Hay. Jamaican Gold; Jamaican Red; Jane; Jive; Jon-Jem; Joy Smoke; Juanita; Jungle Juice. Ka; Kali; Kaya; KB; Kentucky Blue; KGB; Khalifa; Ki; Killa; Kilter; King Louie; Kona Gold; Kumba; Kush. Laughing Grass; Laughing Weed; Leaf; Lechuga; Lemon-Lime; Liamba; Lime Pillows; Little Green Friends; Little Smoke; Loaf; Lobo; Loco Weed; Love Nuggets; Love Weed. M.J.; Machinery; Macoña; Mafafa; Manhattan Silver; Maracachafa; Maria; Marimba; Mariquita; Mary Ann; Mary Jane; Mary Jones; Mary Warner; Mary Weaver; Matchbox; Matraca; Maui Wowie; Meg; Method; Mexican Brown; Mexican Green; Mexican Red; Mochie; Moña; Monte; Moocah; Mootie; Mora; Morisqueta; Mostaza; Mota; Mother; Muggie. Paja; Panama Cut; Panama Gold; Panama Red; Pakalolo; Palm; Paloma; Parsley; Pelosa; Pillow; Pine; Platinum Cookies; Platinum Jack; Pocket Rocket; Popcorn; Pot; Pretendo; Pu; Purple Haze. Ragweed; Railroad Weed; Rainy Day Woman; Rasta Weed; Red Cross; Red Dirt; Reefer; Reggie; Repollo; Righteous Bush; Root; Rope; Rosa Maria. Santa Marta; Sasafras; Sativa; Sinsemilla; Shmagma; Shora; Shrimp; Shwag; Skunk; Skywalker; Smoke; Smoke Canada; Spliff; Stems; Stink Weed; Sugar Weed; Sweet Lucy. Tahoe; Tex-Mex; Texas Tea; Tila; Tims; Tosca; Trees; Tweeds. Wacky Tobacky; Wake and Bake; Weed; Weed Tea; Wet; Wheat; White-Haired Lady; Wooz. Yellow Submarine; Yen Pop; Yerba; Yesca; Young Girls. 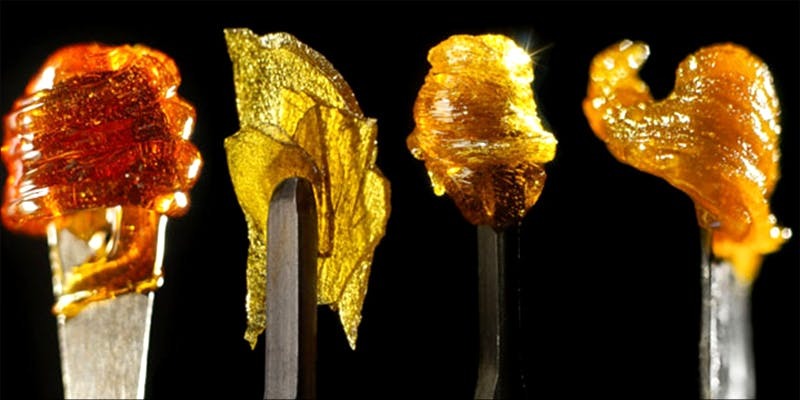 But, hey, let’s not forget the concentrates! 246; BHO; Badder; Budder; Butter; Dabs; Ear Wax; Errl; Honey Oil; SAP; Shatter; Wax.